Make no mistake about it – when boxing commissioners possess nothing in the way of experience, expertise or common sense, and refuse to follow their own rules, something tragic is going to happen sooner or later. Was Bradley Rone's death the inevitable result? Cedar City, nestled in the southwestern corner of Utah, is one of the fastest growing population centers in the United States. If you throw a rock, you're bound to hit a festival – there's the Utah Shakespearean Festival, the Neil Simon Festival, the Thunderbird Film Festival, and seemingly dozens of others. Yes, the nickname of “Festival City USA” is well-earned indeed. On July 18, 2003, Cedar City became known in another way – as a scene of unspeakable horror. In front of a small crowd at a local racetrack, Bradley Rone, a portly heavyweight fighter from Cincinnati by way of Las Vegas, entered a boxing ring against Billy Zumbrun, a Utah native whose claim to fame was a win over boxing's traveling sideshow, Eric “Butterbean” Esch. Rone was one of those low-level opponents who became useful to the process, because he was willing to fight at any time, depending on the price, could almost always be counted to lose, but usually knew how to defend himself well enough to go the distance, often against world-rated contenders. No self-respecting promoter would put Rone and Zumbrun in the ring with each other again, it appeared. But in this case, extraneous circumstances emerged, igniting a bizarre series of events that may yet have its lasting effects on the way boxing is regulated in this country. On Thursday, July 17, Bradley Rone received word from Ohio that his mother Thelma had died of heart failure. Despondent, broke, and feeling helpless, Rone wondered what he could possibly do to get to Cincinnati and help pay for his mother's funeral. So he approached the people at Top Rank, the Las Vegas-based promotional organization controlled by Bob Arum, and asked if there was any place he could fight in a hurry. He had friends who worked there, namely Sean Gibbons, a matchmaker who had been listed as his manager in previous fights, and Cornelius Boza-Edwards, an ex-junior lightweight champion who trained him on those rare occasions when Rone actually trained. It just so happened that Boza-Edwards was helping a promoter named Eddie “Flash” Newman put together some matches that were to take place the next day in Cedar City. And Zumbrun, who was scheduled in one of the featured bouts, needed an opponent. Obviously, Rone volunteered. The plan was to fight in Utah, then travel to Ohio in time to make arrangements for his mother's burial. He'd never make it home alive. It is no more than a 2-1/2 hour drive from Las Vegas to Cedar City, so an emotionally-distressed Rone left for the fight with Boza-Edwards on Friday morning. From there, things get a little murky. On the way, Boza-Edwards says he remembers stopping at a health food store so that Rone could pick up something, but he claims no knowledge as to what that was. Rone arrived a little late that evening; the doctor claims to have given him a pre-fight physical, but no evidence exists that it took place. And at the conclusion of a first round in which only ceremonial punches appeared to have been thrown, Bradley Rone collapsed into unconsciousness as he was going back to his corner, never to awake again. The Emergency Medical Technicians may have been slow in attending to him, depending on what accounts you want to believe, and Rone was pronounced dead shortly after arriving at Valley View Medical Center. 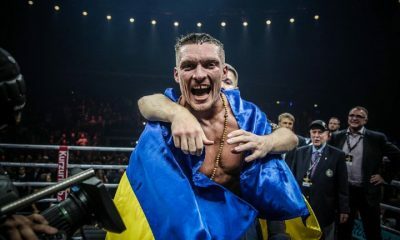 The autopsy revealed the cause of death as idiopathic cardiac arrhythmia (abnormal beating of the heart), and there was nothing to indicate that the fighter had an ephedra-based nutritional supplement in his system, as had been suspected. So there had to be a dual burial in Cincinnati that week. And since the Utah Athletic Commission refused to forward Rone's $800 purse to his family, the Dr. Theodore A. Atlas Foundation had to step in and donate the money for Rone's body to be shipped back home. It was not long before Rone's ring record became the focus of most of the media's attention. His was a losing mark, to be sure – just seven wins in 53 career bouts. But the big shock to many was that he had lost 26 fights in a row, and just why he was allowed in the ring by Utah regulators would be a burning issue whenever this unfortunate incident was discussed. Certainly there's a mystery as to how much true negligence, if any, was contributory to the death of Bradley Rone. And as far as the state is concerned, it's not a mystery that is designed to be solved. Most of the people associated with the boxing commission have been tight-lipped on the critical questions. But that wasn't the angle I was looking at. I have studied boxing reform for many years, and I know that these things are rarely isolated incidents. I've learned over the years that competent regulators don't just have a bad night where someone dies and everything is in so much confusion. Tragedies, in general, are not most appropriately classified as aberrations, but the result of a lot of bad chickens coming home to roost. There has been plenty reported about what happened to Bradley Rone, but I feared that whatever was written, it was going to risk missing the point. The importance was not so much in getting to what caused the specific incident, but in tracking down the basic dysfunction that will always leave the door open for 'accidents' to happen. For that you have to dig deep, rely on instincts that can only be honed over time, and be able to connect the dots. It also helps if you show up in person. I appreciate that the Utah State Athletic Commission was faced with a difficult and unfortunate situation relating to the July 18, 2003 death of boxer Bradley Rone. And I would certainly wish no such tragedy upon anyone. However, as we sit here today, a tragedy has indeed happened, and it is absolutely critical that those factors that were contributory to Rone's death be unearthed; not only because they may serve an instructional purpose (i.e., showing us how we can prevent it in the future), but because, frankly, somewhere along the line there has to be a certain level of accountability when proper procedures are not followed, not to mention changes when policy is not appropriate for the circumstances at hand. Whether or not those proper procedures were followed is something that has not yet been determined. But it is my understanding that there has been a failure or refusal on the part of the Utah State Athletic Commission and/or the Utah State Department of Commerce to make available to the press and/or public, the results (in writing) of a pre-fight physical examination allegedly performed on Bradley Rone prior to his July 18, 2003 fight. Likewise, a contract for Rone's performance on that day has also reportedly been withheld. Doctors designated by the commission have seemingly failed to produce post-mortem tests that would indicate a definitive cause of death. And no cogent statement has been made as to what rationale the Utah commission had for allowing a fighter with 25 consecutive losses (and whose career was dependent upon surviving, not fighting) into a professional fight within the state, where it would be considered, in any way, to be consistent with the public interest. Is it your position that, in accordance with this provision, that you will not make such information – on a deceased fighter – available to the press or public unless ordered to do so by a judge? Does it physically exist at all? And if not, why not? Regarding Subsection R151-33-613(8), ” A boxing contestant who has lost six consecutive fights shall be prohibited from boxing again until the Commission has reviewed the results of the six fights or the contestant has submitted to a medical examination by a physician”, is there any particular basis upon which your commission cleared Rone to fight pursuant to this clause – not once, not twice, but three times – especially as Rone was coming off inactive periods of just 21, 34, and 21 days, during which time you, in each instance, purportedly undertook the “review” of each of the bouts in these losing streaks and performed the required physical examination? And are the results of such reviews, reports, and examinations being withheld by your agency as well? I can appreciate the right to privacy, but at the same time such rights must be balanced against the public's right to know, the family's right to know, and the rights of future fighters within your jurisdiction and others to compete under conditions that are as safe as possible. Accordingly, referring to Chapter 63, 2-201 (5-b) of the Government Records Access & Management Act, is there a particular 'public interest' that is being served by keeping the details of Bradley Rone's medical condition and readiness to fight a secret? Am I to understand your position to be that the public interests favoring restricting access to these records outweigh those public interests favoring access? If so, I think it should come with further explanation. And Rone's contract to fight does not fall into the same “private, controlled, protected, or confidential” category as medical examination records might. Is there some compelling reason that it is not being made available? My information is that the family is desirous of seeing it, but cannot. I am rather distressed about the way this situation has been handled. It does not appear to represent the best of what boxing, or public administration, has to offer. Increasingly, state boxing commissions, comprised of public officials who are subject to “sunshine” laws, not to mention the trade organization they belong to (the Association of Boxing Commissions) have made the conscious decision to do much of their business 'in the dark', as if to circumvent public scrutiny. This must – and will – end. Toward that objective, I have formed a special “watchdog” task force to investigate – and take action on – instances where public officials and other entities in boxing (promoters, matchmakers, boxers, managers) are, or may be, acting contrary to the law, good public policy, or the best interests of the sport. In other words, no more secrets. I know you are familiar with some of my work, because you have e-mailed me about it in the past. If you've performed enough due diligence, you're aware that I am aggressive, vigilant, accurate, sincere, and very, very effective. You can be assured that the task force, with more manpower, will be exponentially more effective. And we do consider this issue to be of paramount importance. Please be advised that we intend to pursue this case with all the energy and resources at our disposal, inclusive of the possible necessity to contact the Department of Commerce, the Legislative Auditor General, Attorney General, Division of Administrative Rules, Secretary of State, and/or the Governor's office, as well as federal agencies and authorities, until such time as we are satisfied that a good faith effort has been made to deal openly with the public and obtain the truth. I anxiously await your prompt reply and cooperation in this matter. No one ever responded to my letter. Next stop, Salt Lake City. In an effort to get to the bottom of all this, what I endeavored to do was study every piece of material I could find surrounding the Bradley Rone incident, formulate a plethora of GRAMA (Government Records Access & Management Act) requests, and scour the documents to get at the root causes of what made this commission too incompetent (if that was indeed the case), and why there might be the need to cover things up. Of course, I didn't trust the bureaucrats, nor was I interested in getting the runaround, so I decided to travel to Utah and deliver my requests personally, with the outside chance that I'd be able to speak with Weinsoft's superiors in the Department of Commerce. By coincidence, I was also in the running for a presidential nomination – that of the fledgling Personal Choice Party, headquartered in Utah – and I picked the week of the party's convention for the trip to Salt Lake City. On Saturday, May 22, I got nominated, and I as I was getting my acceptance speech ready, I was thinking it might be a keen idea to bring some of my new colleagues with me for moral support. I explained a little about Rone's death, that the state government was stonewalling us on information, and asked that they 'storm the Capitol' with me in the name of democracy on Monday morning. As it turned out, we weren't going to be 'storming the Capitol' at all. The Department of Commerce was located in some nondescript building downtown, and I had a difficult time finding it. I was ultimately joined by a small group of people, led by Ken Larsen, who was the Personal Choice Party's gubernatorial candidate. They were there for a lot of reasons, but mostly I wanted them to be witnesses in the event I was going to be hassled at this government agency. After all, this was Utah, where as they say, 'the separation between church and state is one city block'. We went upstairs to the Department of Commerce, and after wandering around the “Employees Only” area for a while, we encountered a rather confused lady who decided the path of least resistance was to go down the hall and find “the guy who handles this stuff”. A few minutes later, out came Richard Weinsoft, director of the Utah Athletic Commission – the person I had sent the certified letter to on April 30. I must say he did not look altogether shocked to see me there, perhaps with good reason. I had e-mailed ahead to Klare Bachman and Jason Perry of the Department of Commerce, informing them that I would be looking for a few minutes with either of them in mid-morning. Weinsoft greeted me, looking open, friendly, and even in a way, somewhat confident. When I told him I was interested in filing the GRAMA requests, he ushered all of us two floors down to the Dept. of Commerce's other offices, where he said he was going to find someone to help us. He then disappeared for about twenty minutes, perhaps hoping we would disappear too. Well, by nature, I don't have a tendency to disappear, so we just sat there, smiled at a lot of people and made small talk. Eventually Weinsoft did come out, and he handed me a few of the forms required to file the public records requests. So that's the end of that, right? Only he was still standing, and we were still sitting. I invited him to take a seat and talk 'informally'. He hesitated for a few seconds, then sat down three chairs away from me (so as not to have any of my philosophy rub off on him, I suppose). Did that directive come straight from the Attorney General's office? He affirmed that it did. Larsen then said, somewhat facetiously, “You know, that's very good advice from the attorney general.” I just about fell out of my chair. Weinsoft told me that the gag order applied to everyone in Commerce, and that was why Bachman and Perry were unavailable to me. Now I understood his initial confidence. After all, if you know you're not saying anything, and indeed you CAN'T say anything, you're bound to be rather confident you're not going to do very much to screw things up. I tried to change that. He sounded a bit like Tessio making his plea to Tom Hagen at the end of The Godfather ('Can you get me off the hook Tom? Just this once, for old times' sake?'). Seizing the moment, I asked him about a short interview he had done last year with Steve Acunto of the American Association for the Improvement of Boxing (AAIB), in which he described his commission's suspension rule as “Old Utah law, period”. Weinsoft was so rattled that, after a long pause, he said he couldn't even remember the interview. Then a member of our group stood up with a digital camera so he could get a picture of me talking with Weinsoft (presumably for the Personal Choice Party website). At that moment Weinsoft caught us a little bit off-guard by jumping out of his chair, and moving completely out of the picture, over by the office exit. We had to assure him we were putting away the camera before he would sit down again. Tessio didn't catch that last break; neither did he (figuratively speaking, of course). I don't like to waste taxpayer time or dollars, so after a while, we got up, thanked Weinsoft for being so cordial, and left. I had lunch with Fred Litzaw, our guy with the camera, and he told he had managed to catch a little piece of Weinsoft in one of our pictures. I wanted to file for all the records before I left town. I'd been down this road before, particularly in Florida, where I had once been threatened with reprisal by an Assistant Attorney General for making these kinds of inquiries. When you're putting together requests for information that someone in power is desperate not to give up, it's sort of like a game. One thing out of place can scuttle the whole thing. Curveballs are commonplace – and I found a couple. One of them I created myself, simply by asking for so much material. There is a lot of work involved in submitting close to thirty different public records requests from a government agency. The statute in Utah requires a degree of 'specificity’ as to what one is looking for, so the whole thing was a time-consuming, meticulous task. Then, to add another road block, there is some confusing language on the second page of each GRAMA request application, which may or may not require a notarized signature from the party submitting the request. I played it on the safe side, finding a notary at a bank just in time to deliver the records to the Heber Wells Building, where the Department of Commerce is located. I had to sit and affix my signature eighteen different times to the documents. * Bradley Rone's July 18, 2003 pre-fight examination certificate, turned over by ringside physician Dr. Randy Delcore to the Utah Athletic Commission pursuant to Subsection R 151-33-505 (“Physical Examination – Physician”) of the Pete Suazo Utah Athletic Commission Act Rule, including notation of the time of such examination. * Regarding Bradley Rone's pre-fight physical examination on July 18, 2003 – pre-fight “test of body fluids” to determine the presence of drugs pursuant to Section R151-33-506 (“Drug tests”) of the Pete Suazo Utah Athletic Commission Act Rule. * Documentation of any review of boxer Bradley Rone's ring record, prior to Bradley Rone's fights in Utah on July 8, 2001, June 27, 2003, and July 18, 2003, as prescribed by Subsection R 151-33-613 (78) of Pete Suazo Utah Athletic Commission Act Rule, which demands a study of such review after a fighter has lost six consecutive fights. * The application of boxer Bradley Rone to fight in the state of Utah on July 8, 2001 and July 18, 2003. * The application of Cornelius Boza-Edwards, or any other party, purporting to represent boxer Bradley Rone, in connection with Rone's fights in Utah on July 8, 2001, June 27, 2003, and July 18, 2003, pursuant to Subsection R 151-33-301(1) – “Qualifications for Licensure”. * Documentation in the form of an HIV negative test for boxer Bradley Rone, completed within 180 days of each of three contests in Utah – July 8, 2001, June 27, 2003, and July 18, 2003, pursuant to Section R 151-33-507 (“HIV Testing”). * The official results sheet, certified by the Utah Athletic Commission, for the promotions sanctioned by the Commission and taking place on June 27, 2003 and July 18, 2003. * The promoter's application, filed with the Utah Athletic Commission, containing information about “on-site emergency facilities, personnel, and transportation”, pursuant to Subsections R 151-33-501(1) and (2) of the Pete Suazo Utah Athletic Commission Act Rule, for the boxing promotion in Cedar City on July 18, 2003. * The bout contract, signed by boxer Bradley Rone or a manager designated by Rone and licensed by the Utah Athletic Commission, for Rone's fights in Utah on July 8, 2001, June 27, 2003, and July 18, 2003. * The results of the pre-fight physical examination of boxer Bradley Rone, conducted in relation to his July 18, 2003 contest, with confirmation of a detailed medical history and all of the checklist items described in Subsection R 151-33-505(1)(a-p). * Complete list of all boxers who have registered for federal ID cards in the state of Utah in the years 2003 and 2004, pursuant to Section 6 of the Professional Boxing Safety Act of 1996. * Documentation by the Utah Athletic Commission of a license suspension or revocation levied against boxer Bradley Rone for having lost at least six consecutive fights, and after losses on July 8, 2001 and June 27, 2003, pursuant to Subsection R 151-33-613(8), and submitted, pursuant to Section 8 of the Professional Boxing Safety Act of 1996, to each boxing registry. * Applications of boxer James (J.C.) Villastrigo pursuant to fighting in the state of Utah on March 21, 2003, June 6, 2003, July 18, 2003, and December 5, 2003. * Applications of boxer Andrew Poulos pursuant to fighting in the state of Utah on November 25, 2001, November 8, 2002, and July 18, 2003. * Documentation by the Utah Athletic Commission of “procedures to evaluate the professional records and physician's certification of each boxer participating in a professional boxing match in the State”, in accordance with Subsection 7(a)(1) of the Professional Boxing Safety Act of 1996. * Documentation by the Utah Athletic Commission of “procedures to review a suspension where appealed by a boxer, including an opportunity for a boxer to present contradictory evidence”, in accordance with Section 7, Paragraph 3 of the Professional Boxing Safety Act of 1996. * Documentation by the Utah Athletic Commission of “procedures to revoke a suspension” in accordance with Section 7, Paragraph 4 of the Professional Boxing Safety Act of 1996. * With regard to the Utah Athletic Commission's administration of pre-fight medical examination of boxer Bradley Rone, documentation and/or certification of “a circulo-respiratory check and a neurological examination”, based on guidelines endorsed by the American Medical Association, prescribed by Section 5, paragraph 1 of the Professional Boxing Safety Act, and amended by Section 8(d) of the Muhammad Ali Boxing Reform Act. * A complete report by the Utah State Emergency Services Bureau with regard to emergency services performed on, or for, boxer Bradley Rone, on July 18, 2003. * Post-fight report of Dr. Randy Delcore relative to services performed on boxer Bradley Rone on July 18, 2003, pursuant to any part of Section R 151-33-613 of the Pete Suazo Utah Athletic Commission Act Rule. * Correspondence on the part of the Department of Commerce or Utah Athletic Commission with the California State Athletic Commission, with regard to the validity of medical documents submitted by boxer Bradley Rone in connection with licensure for professional boxing contests in Utah on June 27, 2003 and July 18, 2003. * Complete minutes for each official meeting of the Utah Athletic Commission in the year 2003. * The full Utah state personnel file for Richard Weinsoft and Jim Young, members of the Pete Suazo Utah Athletic Commission. Since Weinsoft had told me that everything was going through Christine Keyser, I decided I would deliver the requests to her personally when they were complete. As I was headed down the hall to her office, I spotted Weinsoft. putting away some files which may not may not have been boxing-related. He told me he could take the envelope to Keyser himself, which was okay by me, since I was sending the same thing via certified mail to her anyway. As he walked down to her office, I thought briefly about turning around, grabbing all the files he had laying on his desk and making a run for it. But that wouldn't have been very 'presidential'. I told her to stay tuned. Although I didn't receive everything I requested, what I got was quite enough. Let me put what I found into perspective. I've been in or around the boxing business since 1981. I have probably done more investigation into boxing reform issues than any writer alive – perhaps any writer who has ever lived. 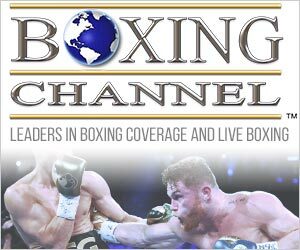 I have served as an expert witness in civil litigations related to boxing, most recently a case involving Francisco Bojado and his managers, including Shelly Finkel. I have unearthed incredible improprieties connected to Greg Page's near-fatal injury in Kentucky, uncovered the exploitation of underage fighters in Pennsylvania rings, and found atrocious conflicts of interest among Florida regulators. I have helped kill federal legislation, held up government appointments and provided information leading to the dismissal of corrupt state officials. But I would be hard-pressed to find a better pathology for explaining the 'how' and 'why' as much as the 'what' than I did with the Utah material. What you'll find here is truly an anatomy of a bad boxing commission. What you're about to read is the direct product of information delivered by the Utah Department of Commerce pursuant to those GRAMA requests, as well as information from other sources, and interviews. The findings and interpretations contained herein were made available to other writers covering this story, and will form the basis for letters that will be written to the Governor's office, the Attorney General of Utah, and the United States Attorney. In the way of background, the Pete Suazo Utah Athletic Commission (PSUAC), named after a well-liked state Senator and amateur boxing figure, has existed in its present form since July of 2001 and operates under the supervision of the Utah Department of Commerce. It has, like many newly-established state agencies, sustained some growing pains. In the case of its particular area of jurisdiction (i.e., pro boxing), however, unpreparedness and inexperience have the potential to produce tragic results. Whether the commission exhibited any degree of negligence in Rone's tragic death, or to what degree it did, is likely to remain a matter of speculation far into the future. But there is little question that the standard of regulation and oversight demonstrated by this commission could very easily have facilitated the kind of circumstances by which a fighter could have met with tragedy in the past, and could meet with tragedy in the future, unless substantive changes are made. One of the factors that has in all likelihood compromised the commission is its excessive pre-occupation with generating revenues. In studying the official minutes of all commission meetings during 2003, the matter of producing income for the commission is raised time and again. When the PSUAC met on May 22, for example, 'opportunities for TV that are being missed' was an issue lamented by the attendees, to the point where making the director a full-time position was discussed in order to 'focus more on the shows that will bring in good money'. On October 21, 2003, three months after the Bradley Rone incident, in which employees of Top Rank were at least peripherally involved, Weinsoft, the director of the commission, was on record as being in the process of actively recruiting Top Rank to bring more fights to the state. In the March 10 meeting, Commissioner Blaze Wharton acknowledges that the PSUAC was not specifically named a 'boxing commission' because it 'wanted to capture and capitalize on the revenues of sanctioning professional wrestling'. Efforts to provide sanctioning and regulation (without real oversight) of pro wrestling are continually discussed, for the sole purpose of generating dollars. Aside from that, an inordinate amount of the commission's time and deliberation seems to be spent on the regulation of martial arts promotions and Toughman shows, because the commission feels it will not likely survive in the long run unless it can prove to be self-sufficient financially. The Toughman promotions are particularly problematic. Although Utah purports to model its commission after Nevada, and indeed has based its rules, in large part, on those of the Silver State, it not only allows Toughman contests (which Nevada prohibits), it embraces them – again, because of their revenue-producing potential. Utah submits to Toughman's potentially dangerous paradigm in which all entrants are covered by only two weight divisions, and has approved the participation of a 61-year-old competitor, with no experience to speak of. In the commission meetings, virtually no attention had been paid to several Toughman-related deaths that had taken place in the preceding eighteen months, or what the causes of those fatalities may have been. There's nothing inherently wrong with trying to pull additional shows into a jurisdiction. Admittedly, one could hardly have an athletic commission without athletic events, and if it is the state's objective that its commission reach out to promoters and networks across the country for the purposes of recruiting them into Utah, that is the state's choice. However, it is very difficult to affect a respectable standard of regulation when you are not only concerned about 'chasing business out', but overly eager to bring more of it in. More experienced hands might be able to strike a balance between good organization and good business. But under these circumstances, with officials who are 'green' at best, it is too easy to slip into leniency. And once that is the order of the day, anything becomes possible. Such is the atmosphere around which Bradley Rone stepped into the ring – not once, not twice, but three times – in the state of Utah between July of 2001 and July of 2003. We have seen no evidence of an examination by a physician, especially between June 27 and July 18 of 2003, and according to the information provided to us by the Utah Department of Commerce, there is no evidence that (a) Rone's record came under any review prior to his entry into fights on July 8, 2001, June 27, 2003 or July 18, 2003, though it would have seemed proper procedure, or (b) that any 'mandatory' suspension at all was imposed upon Rone after July 8, 2001 and June 27, 2003, even though his losing streak, which was far beyond that which was allowable in Utah (14 and 26 straight losses, respectively), would have, at those points, been extended even further. Aside from the fact that Weinsoft used his observation of Rone's 'behavior' as a criteria to substitute for prescribed commission procedure, the way the commission handled the entry of Bradley Rone into his July 18, 2003 fight was questionable at best. Most newspaper accounts indicate that the ringside physician – orthopedic surgeon Dr. Randy Delcore – examined Rone about ninety minutes before the fight. That would have been improper, inasmuch as Utah's regulations require that an examination take place no later than eight hours before a bout. But was there in fact any examination? According to Subsection R151-33-505 of the Pete Suazo Utah Athletic Commission Act Rule, the ringside physician is required to produce a certificate indicating that a competitor is fit and eligible to fight. This is aside from an actual exam form, which would contain specific medical information about the fighter. Alas, there does not seem to be such a certificate. It was refused to us on the basis of medical privacy, although such a certificate would not appear to compromise the privacy of any individual, any more than his actual appearance in the ring would create the inference that he was 'fit to fight'. Strangely, Weaver was denied the same documentation, on the basis that it 'did not exist'. If it indeed doesn't exist, at least some of the required safety/medical procedures were not followed. It may be even worse than that. Since the actual results of a pre-fight examination of Bradley Rone were denied even to Rone's surviving family – specifically his sister – we are left with no documentation that Bradley Rone was examined at all prior to his July 18, 2003 fight against Billy Zumbrun, and must operate under that assumption until such documentation is ultimately furnished, if ever. This argument is buttressed by issues raised at an August 11, 2003 meeting of the commission – the next recorded meeting after Rone's death. Nick Butterfield, a contestant manager and former commissioner, expressed numerous concerns about the procedures of the commission, several of which were germane to our investigation. Butterfield was alarmed that, in his words as interpreted from the minutes, “The commission needs to have procedures in place to know what requirements the fighters have met. The commission has to know if the fighter has seen the doctor.” If it is true that the commission in Utah has no mechanism to ensure that fighters have had a pre-fight examination by a physician, it would offer a possible explanation as to why Bradley Rone was not given an examination prior to his rematch with Billy Zumbrun, or that if it did happen, why there is no documentation of it – even the aforementioned pre-fight certificate. One of Butterfield's other claims was that “a boxer had fought in the state who had a severe case of glaucoma and a losing record”, and furthermore, that he knows of “three boxers that were not checked for AIDS and other boxers that were just told to get one next time.” The fighters were not identified, and our attempts to reach Butterfield were unsuccessful. Weinsoft told the Salt Lake Tribune, “There were no red flags. Safety is always the number one concern. If the doctor had seen something, he would have alerted us immediately and (Rone) wouldn't have fought.” But that is clearly not the case. In point of fact, safety and medical safeguards are not tightly in place in Utah, and that it is not inconceivable that a fighter could 'slip through the cracks' and into a competitive ring without having a proper medical examination or satisfactory medical documents upon coming into the jurisdiction. At a meeting of the commission on July 7, 2003 – just eleven days before Rone's death – there was an intriguing development. 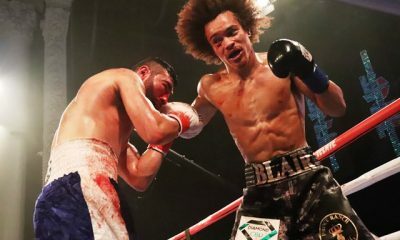 In discussing the quality level of fights in the state, Weinsoft made the revelation that “when there is a question of a boxer's record to ask if certain boxers should fight”, he contacts Cornelius Boza-Edwards. Considering that Boza-Edwards, who works for Top Rank, was indeed a licensed representative on behalf of Bradley Rone for Rone's fights in Utah, including the fatal July 18, 2003 encounter, it would be understandable why Rone was passed by the commission for those fights without so much as a review of his record, as prescribed by Utah law. Also, since it had been acknowledged in this meeting and others that Eddie “Flash” Newman, the promoter of the July 18 show, used Boza-Edwards and Top Rank to secure the fighters for his shows, one would be justified in bringing serious questions as to the judgment and wisdom of the Utah commission – and Mr. Weinsoft in particular – to say nothing of the commission's lack of sensitivity to obvious conflicts of interest that affect the quality of bouts, as well as their level of safety. This is where I would revisit something that happened in the Rone-Zumbrun fight. Billy Zumbrun acknowledged that when Rone felt weak in a clinch, he asked him, “Are you OK?” I don't care what the circumstances were; I find that to be an extremely odd thing for a fighter to be asking his opponent during a fight. In fact, I've never heard of it before. Why did Zumbrun ask that? Why was he so concerned? What was supposed to happen? Considering Rone's history of doing just enough to lose, and looking at some of the people involved with his career, who also happen to be subjects of a federal probe that is said to include 'pre-arranged' fights, you would think the Utah commission might want to investigate it vigorously. But instead of questioning every individual connected to this fight, including Zumbrun, the commission has instead run the other way. There's something highly suspicious about that. 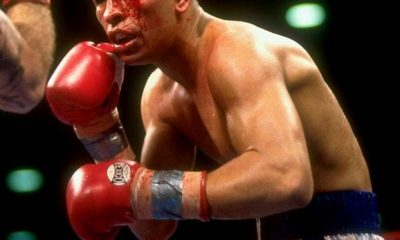 There would appear to be limited awareness or knowledge on the part of Utah's commission about federal laws governing boxing, in particular the Professional Boxing Safety Act (PBSA) of 1996. There is nothing in the way of certification or affirmation that any examinations of Rone met standards set forth in the PBSA; nor does the commission have protocols regarding the review of qualifications and suspension of professional boxers, which is also required by the Act. With regard to medical exams, which, according to the PBSA, requires “a circulo-respiratory check and neurological examination…….based on guidelines endorsed by the American Medical Association”, the Utah Department of Commerce, in response to our request for such protocols, stated that they are “not applicable in Utah”. 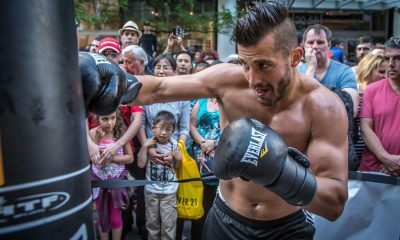 Whether current federal boxing laws are unconstitutional, and a violation of states' rights, is another argument – albeit a valid one – for another time. But we find that if there is a states' rights argument on the part of Utah, it is disingenuous at best. Weinsoft has in effect used federal law to elevate his own status and perception as an administrator, insofar as Weinsoft and the Association of Boxing Commissions (ABC) feel they are empowered by the PBSA and the Ali Act to exhibit any level of authority over championship matches. Weinsoft sits on the “ABC World Title Fight Manual” committee, and made the presentation on “World Title Fight Procedures” at the ABC convention in South Carolina this past July. 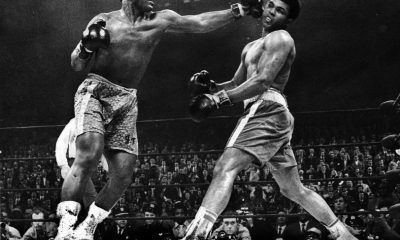 The fact that Utah, according to our research, has not had a championship fight since 1961 did not seem to carry much relevance with either the ABC or Weinsoft. Some observers have drawn parallels between the Utah Athletic Commission's conduct in the Bradley Rone matter and that of the Kentucky Athletic Commission on the night Greg Page fell into a coma and nearly died (March 9, 2001). Those comparisons are probably unfair. While Jack Kerns (Kentucky's chairman) huddled with his colleagues and, knowing that the absence of paramedics, oxygen, and a stretcher amounted to violations of both federal and state law, allowed the evening's bouts to go ahead anyway, Weinsoft, at least according to his own account, would not allow any other fights to proceed on July 18, 2003 after it was discovered that the EMT's and ringside physician were not present, having left the venue with Rone. Still, it doesn't necessarily justify the actions of the Department of Commerce in granting Weinsoft two pay raises and full-time status as director of the commission a matter of months after the Bradley Rone debacle. This was based, in part, on a 'performance evaluation', the substance of which has not been made available to us. In Utah, there was a consensus that inspectors were completely inadequate. Indeed, there was no training mechanism in place, no procedural guidelines, and no experience. Of course, a major problem is that there is little understanding of, and appreciation for, the duties of the job itself. At the August 11, 2003 meeting, one-time commission chairman Jim Young stated that he had heard Weinsoft advising a first-time inspector that he could learn all he needed to know in a space of five minutes, an assertion that is ignorant at best. Young was a strong critic of inspectors. He had stated that they were 'terrible' and that he had tried in the past to put together clinics to instruct them on how to do their job, but those efforts were unsuccessful. Ironically, however, Young demonstrated that he didn't understand the dynamic of the inspector's responsibilities and authority either. One of the areas that is always of concern to those espousing boxing reform is that which involves conflicts of interest. In Utah, there existed what appeared to be one of the more egregious conflicts of interest imaginable. In the May 5, 2003 commission meeting, the subject of Young's association with a professional fighter came into question. At the time, Young was the commission chairman, and it was alleged that while in that position he had been managing Ogden-based junior welterweight J.C. Villastrigo, a beneficiary of what could be considered several mismatches in the process of building his ring record. One of the commissioners, Blaze Wharton, was curious about this, and said that as a result he had made the effort of meeting Villastrigo's manager just to assure himself. But there are only four licensed managers in Utah – Kelcie Banks, Ray Frye, Nick Butterfield and Gene Fullmer – and no evidence put before us indicates that any of them represented Villastrigo. It is appropriate to mention that the term 'manager' is often used loosely, and has been known to represent the activities of interested parties who might function as a 'beard', on behalf of another party who is the de facto manager. 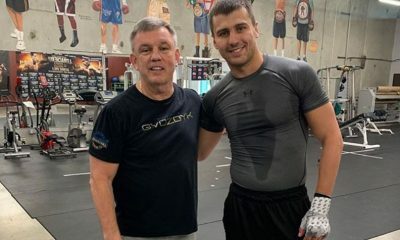 There was no dispute that Villastrigo trained in Jim Young's gym. And the fact that Young, while occupying the chairman's seat on the commission, actually wrapped Villastrigo's hands before fights, was not disputed either. It is universally recognized in boxing that wrapping a fighter's hands is a 'partisan' thing, and that the process customarily is official only after the approval of an inspector or other representative of a boxing commission. However, in these bizarre circumstances a commission chairman had invoked what amounted to self-approval when administering, in a partisan manner, to a fighter who was licensed and under his regulatory dominion. Certainly Jim Young appears to have engaged in an activity that constitutes a clear conflict of interest. Still, we are left with questions – to what degree was it a conflict, and how potentially dangerous was it? Did it come as a result of sheer ignorance, or reckless disregard for the rules? When should commissioners know they are acting improperly without having to be told? “§ 6308. CONFLICTS OF INTEREST. It would seem logical that since an active boxer has a financial interest in himself, this clause in the PBSA would apply to financial relationships between active fighters and commission appointees. Young's 'special' association with a licensed fighter sets a dangerous precedent. Since there was no one of higher authority to oversee him wrapping Villastrigo's hands, there was no way for opponents to assure themselves that those wraps met with acceptable standards. If, in fact, these standards are not met, serious harm can be done to a fighter in a boxing ring. In effect, there was a complete absence of checks and balances, the purpose of which, in this instance, would be to protect the safety of competitors. Interestingly, it was only after Jim Young was not renewed for another term on the commission that any questions were raised about the quality of Villastrigo's fights. In the September 24, 2003 meeting, a prospective opponent for him was declined by the commission. Eventually, the 'experienced' foe that was approved for him (for a December 5 show) was Lee Cargle, loser of 15 of his last 16 fights and possessor of a record including 33 wins and 91 losses. If that is what is perceived as an upgrade, it constitutes poor performance on the part of this regulatory body. Fighters in Utah events had even more things to worry about, however. When speaking at a commission meeting on August 11, 2003, Butterfield, who had gone on to represent fighters in a managerial capacity after his stint on the commission, remarked that he had requested to be present at the weigh-in of one of his boxer's opponents, and was not allowed. According to Butterfield, the commission could not even tell him the weight of the opponent, and it was not listed on the contract. This kind of weigh-in procedure, as it turns out, was common, and has been reaffirmed by statements in other commission meetings. This practice ultimately works to disadvantage out-of-town fighters more than anything else. They often come into town too late for an ad hoc weigh-in that has already been conducted for their opponent, and which was never held on a pre-arranged schedule. When a commission will not take steps to ensure, when possible, that a fighter can see his opponent weigh in for a fight, it is defeating its own purpose. Here, it gives the appearance that it keeps such disclosure from fighters almost by design. It is, at the very least, a symptom of the kind of disorganization that increases the possibility that a ring tragedy will occur, and from another standpoint, may represent a complete disregard for what is fair and proper, for the purpose of furthering an agenda. It creates a scenario that would appear unthinkable even in some of the worst boxing commissions in this land – that the opponent of a fighter like Villastrigo, for example, would not only have Villastrigo's weight withheld from him, having been denied access to the weigh-in, but would also have to compete without the assurance that Villastrigo's handwraps were legal and safe, as they are being administered by a commission member who has an interest in Villastrigo's success that is at the very least partisan, and possibly financial. Add to that the subliminal pressure judges, referees and inspectors might feel when they see the chairman of the commission as a member of one fighter's 'team', clearly taking actions on behalf of the fighter, and you are mixing a potentially dangerous cocktail of impropriety. To their credit, some of the members of the Utah commission had expressed great dismay about Jim Young's conflict of interest. And as he seemed to be outnumbered in that regard at the May 5, 2003 commission meeting, Young (apparently reluctantly) agreed that such actions did not look proper. But Young's initial reaction, as it was described in those commission minutes, was that he “cannot see why we have gone through this complaint process thing over and over again.” He conveyed that he had been hearing complaints a continual basis and intimated a posture that no complaints should be addressed unless they came in written form, or verbally at an official commission meeting. It is especially distressing that someone sitting in a position of authority with a boxing commission would not possess the kind of sensitivity necessary to make a distinction between what is proper and what is improper. The fact that someone who, in comparing himself to others on the commission, claimed to have “30 years of experience in boxing”, would not address such a thing without having been told, and moreover, that he would actually resist in any way when such an objection to his obvious conflict was brought before him, is at the same time both puzzling and mortifying. 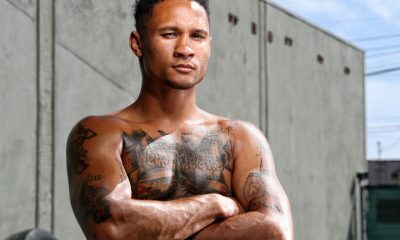 This sends a horrific message – not only to participants in the state of Utah, and those who may in the future compete there, but to the entire boxing industry, because it constructs an advertisement for the intervention of federal authorities, or even worse, the abolition of the sport. And it once again fuels the stereotypical image of boxing in the press and among members of the general public – that it's a filthy house that has no willingness to clean itself up. Long after Bradley Rone's death, the ugliness continues. Rone's family was initially denied its claim for accidental death insurance benefits. Life Insurance Company of North America, the underwriter, had determined that Rone's death was not the result of an injury that occurred as a direct result of an accident, but rather, was due to 'natural causes', and thus fell under an exception for 'disease, illness, or bacterial infection'. The $50,000 claim was eventually granted. But if the insurance company's original decision had held, it may have opened up a can of worms for the Utah commission to deal with. When you think about it, what the insurance company was saying was that Rone had carried a medical condition into the fight with him; one that could have killed him outside the ring. If we can operate on the assumption that one does not develop that kind of condition in the 90-minute period between a pre-fight physical and the opening bell, one may be justified in asking why this condition would not have been discovered or sensed by Dr. Delcore, if indeed the pre-fight examination ever took place. As it is, an insurance company has now officially affirmed that Rone was a 'covered person' in terms of connecting his death to an accident that occurred while he was fighting. Amazingly, the insurance policies purchased by Flash Newman for the July 18, 2003 fight actually made 'sport-related activity' an exception to coverage, though that was clearly not the intention. 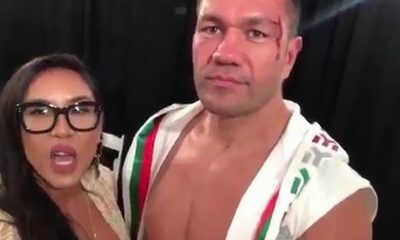 Considering that Newman must purchase insurance policies to comply not only with Utah law, but the Professional Boxing Safety Act, it would not have been unreasonable to expect the Utah commission to review the policy in order to see if it indeed provided the coverage it was supposed to. Yet there is no evidence of this being done. With all due respect, I have yet to meet an advocate of McCain's legislation who knew what was contained in it, or who truly understood what had been left out of it. One has to remember that such a commission would be dependent upon federal laws. Well, there are two pieces of federal legislation that already exist, and as we have shown, the Utah commission has demonstrated no inclination to follow those laws. But how can one expect any level of compliance, when it has become obvious that the commission can't even remain faithful to ITS OWN rules. And there is no national structure that could possibly mandate wiser decisions on the part of state governments when it comes to selecting people for a boxing commission. “Clearly there are commissions that are substandard in their operations, and as such they are probably substandard in their performance,” says Tom Mishou, executive director of the Georgia Athletic Commission. “I don't know that they would be any better with a national commission. The establishment of a national commission doesn't mean state commissions are all of a sudden going to become better performers. Mishou's proposal might be one model to investigate, although there is a coercive element to it that might bring an unconstitutional intrusion on states' rights – particularly those states who would argue that their commission was not in fact substandard. Regional regulation, in which states pool resources and personnel, might be workable, since it would most likely bring more experienced and competent regulators into areas that don't have an overabundance of activity. Naturally, participation in such a thing would be purely voluntary. Private solutions, which received token consideration in Utah before the Pete Suazo Utah Athletic Commission Act Rule was enacted, might be the wave of the future. Private agencies, ideally more efficient than bureaucracies, would have to be 'deputized' by state legislatures. But they would be a viable alternative in states that have either experienced problems with appointees who may have exposed them to liability, or where the revenues generated by a commission do not justify the costs involved in operating one. Privatization can also fill the vacuum when a state does not have a boxing commission. Utah does not appear to be one of those states that would be in the market for a private solution anytime soon. But it should be. When a state agency endeavors to exercise its 'police power' over an activity and attempts to use that regulatory authority to extract tax dollars related to it, responsibilities must go along with it. There is not only a responsibility to follow the rules that have been established internally, but also a responsibility for the negligence that may be committed in the process of exercising that authority. Finally, there is a responsibility to behave like a public agency, with openness and honesty, and not in a way that hides from or defies public scrutiny. Anything short of strict adherence to all of these standards should not be tolerated. The Utah Athletic Commission has abdicated all of its responsibility. It has to be considered a failure across the board. Withholding public information in order to protect the interests of those in state government is unconscionable, and a subject that deserves exploration that extends far beyond the scope of this piece. But issues of competence, or lack of same, can simply not be ignored. Even if I could conclude that on balance, the Utah Athletic Commission is well-intentioned, it would be a disservice to just leave it at that. Good intentions are not always enough in a regulatory venture such as boxing, which is often unforgiving of those who lack experience and proficiency. It is generally acknowledged in its own official meetings that no real experience exists on the part of anyone on the commission. In absorbing all of this, one has to wonder whether there was more than just a little recklessness in the formation of this body, and whether one should exist at all if it is not going to respect its own rules, or take pains to do what is proper when given the opportunity. Sadly, I’m left wondering not how tragedies like Bradley Rone's death could possibly happen in Utah, but why they don't happen more often.